PG PLUS Rotors offer the most complete line of VSM vehicle specific metallurgy rotors, the latest development in rotor technology. 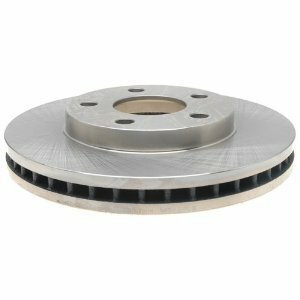 These premium, high-quality rotors feature 103 distinct vane configurations, to ensure your replacement part matches Original Equipment design . The rotors have an ultra smooth braking surface to reduce noise, dust and maximize disc pad life. Compared to economy rotors, PG PLUS VSM Rotors are three times quieter, can stop your vehicle 22.5 feet sooner and provide up to 30% more pad life. They are designed to provide the highest levels of dependability, safety and superior performance.